Our pop-up tents are fast up, fast down and hassle free, ideal for multiple venue setups and sampling. Customization of your printed tent canopy is a breeze with our wide variety of fabrics and printing techniques, guaranteed to get your brand noticed in a crowd. The freestanding Optidome tent is ideal for temporary outdoor events. The graceful arches and distinctive shape add beauty and elegance to any venue. Our stage covers offer a portable, customizable band shell with excellent acoustics. Contoured end walls may be added, or additional modules may be joined to extend the structure. Our Insignia tension tents are a tool-free favorite for special events and fairs. 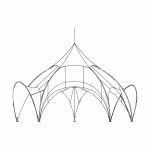 The striking tent canopy, with its dramatic peak and distinctive valance shape, is available in a variety of colors and is constructed of 13-18 oz. vinyl polyester, meeting NFPA701 large-scale fire code. 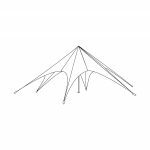 Star tents are tension fabric structures supported by a single center pole and ground-up tension. 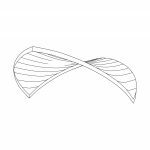 The Star Shade folds down into 3 carry bags to fit in the trunk of most standard vehicles. 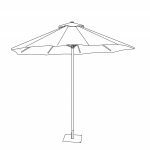 Our custom printed umbrellas offer one of the most economical opportunities for outdoor retail branding and promotion. Our original truss tents offer both the ultimate in strength and a unique aesthetic. With modular leg elements, Truss Tents may be built to your footprint and height specifications (not available in hex configurations). Aerotents can withstand wind gusts of 40 mph or greater, making them ideal for mountain top marketing activations. 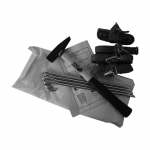 These tents need only be filled during the initial install and do not require the operation of a continuous blower. 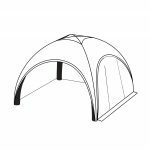 EPS-Doublet offers a variety of functional tent accessories, intended to reinforce the structural soundness or enhance the ease of setup.